Talking Tech – See CTO Robert Graebert explaining how the cloud-based CAD technology inside ARES Kudo leverages on Amazon Web Services to scale it’s IT infrastructure. Download ARES Commander 2019 today! Providing additional functionality, a whole set of new features as well as updates in performance and stability, ARES Commander 2019 is now available to download. Graebert’s product portfolio is anchored by the ARES® “Trinity” of CAD Software for DWG-editing including ARES Commander™ for Windows®, macOS® and Linux® computers, ARES Touch™ for Android® and iOS® smartphones and tablets and ARES Kudo™, a full browser-based solution for DWG-editing in the Cloud. Graebert’s innovative approach is to combine these 3 solutions into a single ecosystem and subscription. 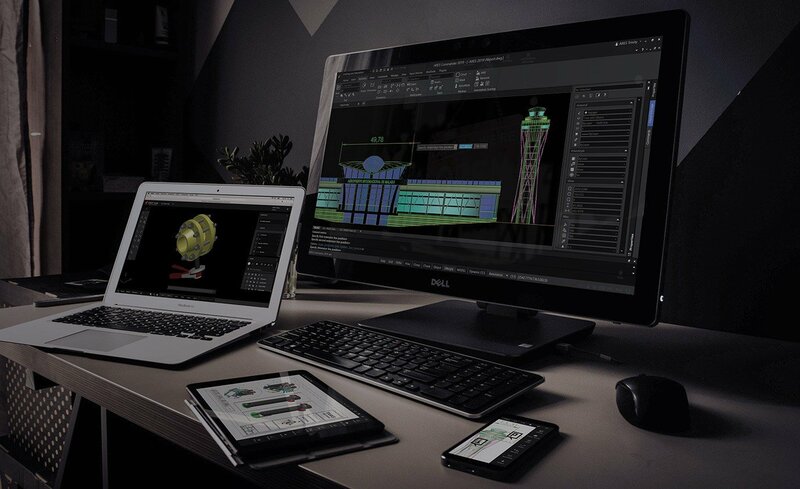 The ARES Trinity of CAD Software bundles ARES Commander as well as ARES Touch and ARES Kudo into an all-inclusive suite to create and modify your technical drawings anywhere, on any device. Graebert GmbH is recognized as a true innovator in the CAD industry and has over 35 years of technology expertise in this domain. The founder, Wilfried Graebert, was the first and largest German distributor of AutoCAD®. In these early years Graebert innovated by developing some of the first vertical add-ons for AutoCAD and significantly contributed to the growth of the product. In 1994, Graebert released FelixCAD, the first alternative to AutoCAD and expanded its business on the international scene. Graebert further continued to pioneer new CAD technologies such as the first 2D/3D CAD system for Windows CE mobile devices in 2000 or more recently CAD solutions for Android, iOS or the Cloud. Everything is possible when you use ARES® Technology from Graebert to create your own embedded OEM solution or develop plugins for already existing ARES-based CAD applications. Create a competitive solution by using CAD technology that supports Windows®, macOS®, or Linux operating systems and/or mobile iOS and Android devices with the latest CAD standards including DWG. Graebert’s team of CAD experts is here to help, whether you want to extend the platform or empower your own CAD solution.